Happy 25th anniversary, ABBA fan club! Take a look my favourite posts from previous years under Pages to the right. 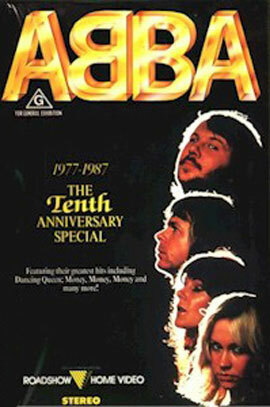 To many people the “ABBA revival” seemed to emerge spontaneously yet fully blown in 1992, with several almost simultaneous events: UK band Erasure’s ABBA-esque EP of ABBA covers topping the charts; Australian tribute band Björn Again playing big-ticket gigs around the world; and of course the release of the compilation CD ABBA Gold. But in truth the revival had been building up for at least five years before that. If there was a time when it could be said that the ABBA revival really started, then early 1987 is probably it. And it was mostly led by the fans, those who had remained loyal to ABBA while the rest of the world, and even the former ABBA members, had seemingly forgetten ABBA. In early March a group of ABBA fans in Sydney, Australia hosted an event celebrating the tenth anniversary of ABBA’s Australian tour, with a replicated version of the 1977 concerts; fans playing the parts of ABBA and the band, miming to a combination of audience tapes from the concerts and some songs from ABBA – The Movie. The night attracted quite a bit of media attention, including this report on morning television. This event inspired a bar in Sydney’s “gay ghetto” Oxford Street to hold an ABBA night at the end of the same month. This led to ABBA nights, predominantly in gay venues, in Sydney, Melbourne and other cities – in Sydney they were held every six to eight weeks until the mid-90s (and in a way served as some inspiration for the 1994 movies Muriel’s Wedding and The Adventures of Priscilla, Queen of the Desert). The ABBA nights got a lot of press, not just in the gay media – in 1988 one daily newspaper column wrote of “Bjorn again” fans attending an ABBA night in Melbourne. In April the Agnetha, Benny, Björn, Frida Fan Club in the Netherlands (formed in 1986, now the Official International ABBA Fan Club) hosted its first ever ABBA Day in Hoek van Holland, attracting fans from across Europe, and a few from beyond. The day went on to become an annual event; today the International ABBA Day, now held in Roosendaal, is a weekend-long event that attracts fans from around the world. The above mentioned events in Australia directly led to the release of ABBA 1977-1987 The Tenth Anniversary Celebration videocassette (actually a copy of the 1982 Swedish video release Music Show 1+2), the first ever ABBA video release in Australia. 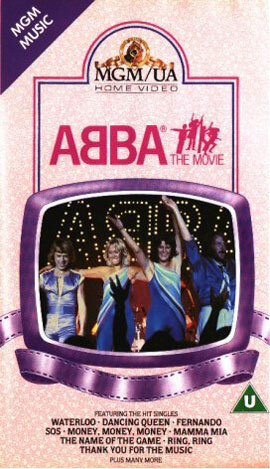 In the UK ABBA – The Movie had a high-profile VHS re-release during 1987. Meanwhile British group Doctor & The Medics had released a cover version of ‘Waterloo’ in 1986. Thanks to its humorous video parodying ABBA’s Eurovision Song Contest performance it got a lot of airplay on television, particularly in Australia in the lead-up to the March 1987 fan event, but wasn’t a big hit – it peaked at number 45 in the UK. Over the next few years further events contributed to a growing renewed interest in ABBA. In 1988 the UK compilation album Absolute ABBA was advertised on TV. In 1989 tribute band Björn Again played its first gig in Melbourne, Australia, the first of a zillion tributes. Screenings of ABBA – The Movie became a staple of revival and art-house cinemas. The 1992 Swedish film Änglagård (aka House of Angels) was advertised as featuring “the music of ABBA”. And then in late 1992 the revival went mainstream, bringing ABBA back to the world’s attention.